Common Terns nesting in three inland states and two provinces were studied to ascertain their wintering range in coastal Peru (photo by Paul Konrad). Common Terns are the most widespread tern species in North America, but the numbers of terns counted at nesting colonies in the interior of North America have been declining for decades despite conservation efforts. Biologists believed the problem, at least in part, must lie elsewhere – and a new study presents some of the best information to date about where Common Terns go when they leave their interior nesting sites at lakes in Minnesota, Wisconsin, Manitoba, Ontario, and New York. The University of Minnesota at Duluth's Avian Ecologist Annie Bracey and her colleagues attached geolocators – small, harmless devices that record a bird's location over time based on day length – to 106 Common Terns from nesting colonies of interest in the three states and two provinces. When the birds returned to their nesting colony sites in subsequent years, the researchers were able to recapture and retrieve data from 46 of the geolocators-tagged terns. 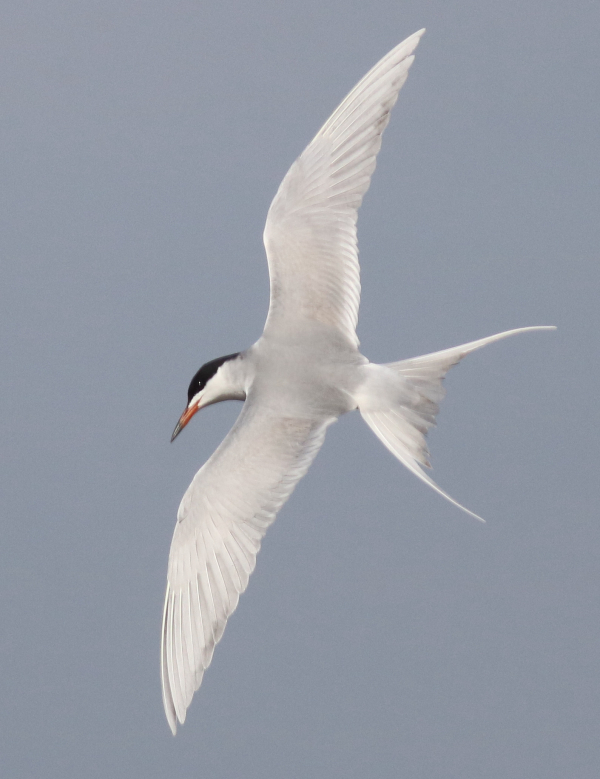 The resulting information revealed important migration staging areas in the interior of the United States and along the Gulf of Mexico, a surprise because it was previously thought that most Common Terns migrated to the Atlantic Coast before continuing south. Also, data showed tagged terns from different nesting colonies intermingled during winter, when most terns wintered along the Pacific Coast of Peru, suggesting that these populations could be especially vulnerable to environmental changes in that region. For long-lived birds such as Common Terns, adult survival probably drives population trends more than nesting productivity, so identifying causes of mortality is crucial for effective conservation of the species. Coastal Peru is vulnerable to multiple effects of climate change, including increasingly frequent and severe storms, changes in the availability of Common Terns’ preferred foods, and rising ocean levels. “Because survival is lowest during the non-breeding season, identifying coastal Peru as a potentially important wintering location was significant, because it will help us target studies aimed at identifying potential causes of adult mortality in this region,” Bracey explained. The journal citation is: Annie Bracey, et al. 2018. Migratory routes and wintering locations of declining inland North American Common Terns. The Auk: Ornithological Advances.